What evidence do you have for the measurable changes people have made as a result of taking part in Carbon Conversations? Funders very often ask for evidence of measurable changes which people have made as a result of taking part in Carbon Conversations. 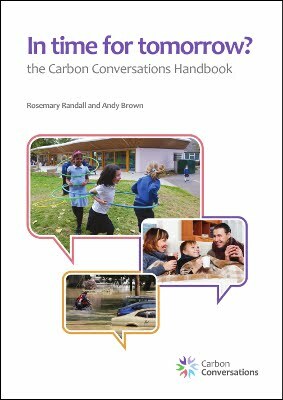 Although we do have evidence for carbon reductions, accurate figures are hard to arrive at and we suggest that you emphasise the other benefits of Carbon Conversations as well – its effectiveness in preparing people for change, engaging people with the problem, dealing with anxiety and developing a sense of agency to name but a few. You need to establish an accurate baseline. This usually means having accurate data for at least a year before instituting any change. This is feasible for the areas of home energy and transport, much more difficult for food and other consumption. You need to keep accurate records for another year in order to make a comparison. Keeping contact with people over this two year period is difficult. You need to allow for other influences that may have affected someone’s carbon emissions such as variations in the weather between the two years or alterations in the carbon intensity of the electricity supply. An analysis by Simon Merrington of 129 feedback forms showing the actions people intended to take following a group. This work was done in 2010 so is quite old but shows that people finished the groups with an intention to make reductions that would result in savings of between 1 and 3 tonnes of CO2. An analysis of two groups of people undertaken by Southampton University in 2015 which found intended reductions of 3.7 tonnes, measured using the lifestyle calculator which is on the website. This research was not formally written up so cannot be cited but you can read about the rest of Southampton University’s research on Carbon Conversations, ‘It helped me sort of face the end of the world’: the role of emotions for third sector climate change engagement initiatives .